Small bugs have been fixed in the software. Feature of autoupdate has been added. To check the availability of the new version on the server, click “New version” button in the menu. After you install the new version of the software, you will not have to do the following actions anymore: go to the software website, download the distributive and uninstall the old version before installing the new one. Now, these actions will be performed by the software installer directly from the program interface. The user will only need to choose the location where the program will be installed. The software will automatically select the following: C:\Biokvant\VedaPulse, you can select a different one if you need to. Note. To install this version of the program, perform all the actions as you did before, for the last time: download the new version from the website, uninstall the old version and install the new one. Next time special installer will do this for you from the software interface. Installation of the games (if they were previously manually deleted, or if this is the first installation of the software on this computer) is performed from the software interface. If you want to start the game, but it is not installed, the software will offer to run the installation process. 3. The following diseases were added to nosological filter: seborrhea, loss of skin tone, skin ageing, fragile and weak nails, stretch marks, cicatrices. New diseases are added to the modules included in rehabilitation section of the software: herbal therapy, aromatherapy, food supplements, diet. 4. 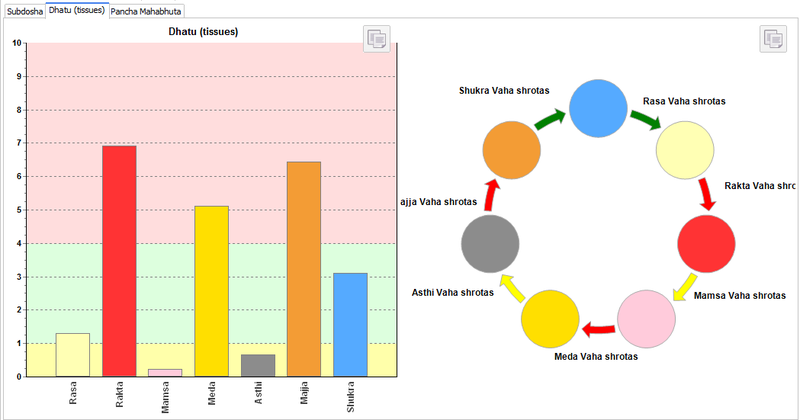 Captions to round diagram were updated in Nidana/Dhatu module. 5. Software settings now allow choosing measurement units of weight – kg or pounds, and measurement units of the height – cm or inches.